Call 440-591-4822 to sign up now! 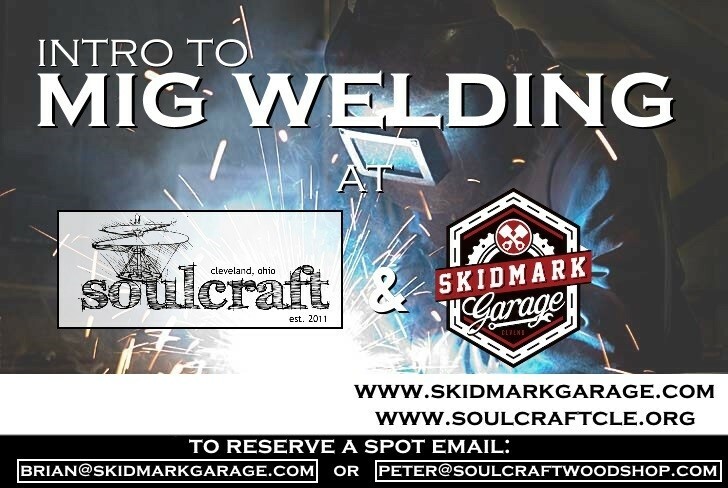 Soulcraft and Skidmark are running monthly welding 101 classes. For $120, learn a new skill AND we provide lunch. Only 8 spots per class are available and they go fast! Reserve your spot today by forking over the dough. © 2019 Skidmark Garage, LLC. All Rights Reserved.